"In order to meet the requirements of homeowners, Kelvin Lok, the interior designer uses black, white and grey to create a modern fashion feeling." "Every drawer in my house is almost hidden. Therefore, i do not have to worry that my personal belongings look cluttered. It makes my house simple and elegant." 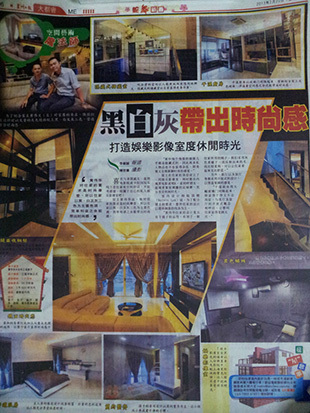 Click the news article of Sin Chew Daily for more insights about how Xenn Interior Design become a magician of space arts.